Envision a world where everyday products are purchased, but a vital component of that product is still owned by the manufacturer. With ownership of that component, the manufacturer could affect how the product is used and enjoyed, and could also gather insightful (and private) information on how that product is being used and enjoyed. Well, we’re not too far off. Digital Rights Management (“DRM”) is a concept many of us are familiar with from the realm of digital media downloads. For example, you may have purchased a favorite song from iTunes only to find that you can’t make copies of that song and can’t even play it on a non-Apple device. By paying less for a product, your usage rights for that product have been slightly limited. As our everyday devices become more advanced and connected, DRM’s role will inevitably expand. Renault’s Zoe, a small electric car available for sale in Europe, may be one of the first instances of DRM in an automobile. Unique to the Zoe is the fact that you own everything except for the battery. That battery – essentially the guts of an electric car – is leased to the purchaser of the vehicle. There are huge benefits to this, the most obvious being the lower initial cost of the Zoe. It costs the same as a similar, gas-powered compact car (the Renault Clio for example). In addition, the battery rental cost includes all aspects of upkeep – Renault will pick you up if you run out of a charge and will replace the battery at no cost. This is great since we know that rechargeable batteries do not hold its charges forever. Smart Automotive, a branch of Daimler AG (Mercedes Benz, etc), offers a similar leasing program for its 2013 Smart ForTwo Electric Drive vehicle, called the “Battery Assurance Plus” program. By leasing the battery for $80/month, the purchaser of the vehicle can save $5,000 off the car’s initial price of $25,000. The main difference is that, unlike the Renault Zoe, leasing the battery is not the only option for the Smart ForTwo, you can simply purchase it whole. DRM apparently comes into play with the Zoe since Renault can remotely prevent the battery from charging, obviously in situations where the battery lessee fails to pay. In other instances, we see that DRM can control the ability to play and enjoy digital media if it can no longer be authenticated or verified by the content provider. A potential concern then is the (remote) possibility that Renault could decide that the battery leasing program is no longer profitable. 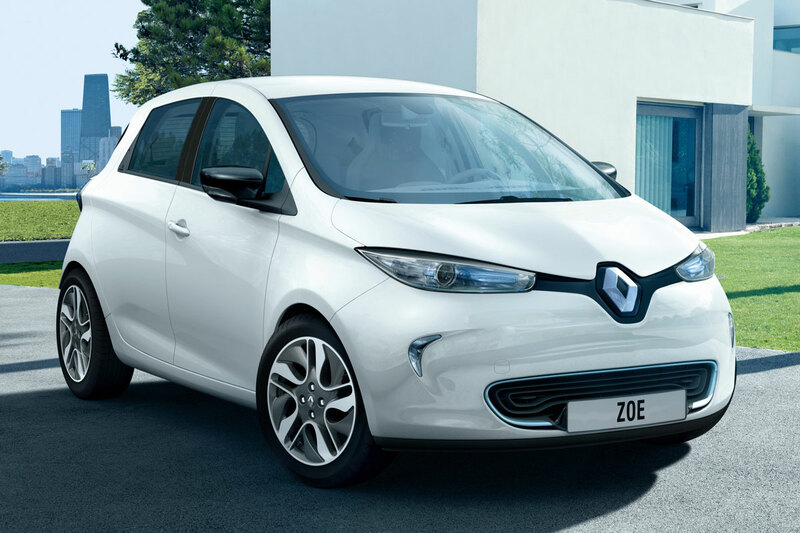 Renault could theoretically shut down the program thereby leaving owners of the Zoe without any means of verifying or authenticating the battery, and thereby prevent it from charging. There is a view that Renault’s ability to remotely limit the battery from charging is not really a DRM issue – it is no different from a wireless service provider’s ability to turn off your cellphone service if you fail to pay your bill. There is an important distinction, however. Unlike a wireless service provider, which gives you access to its network, Renault on the other hand is selling you a device but keeping the ownership of one component of that device, the most important component. The analogy would be more fitting if Renault provided Zoe owners with a service to charge the batteries. Unlike the vast cellphone resale market, how many used car purchasers would want to purchase a used electric car sans its battery? Another concern is that Renault could remotely shut down the battery and prevent it from charging at any place and any time – the Zoe owner could be stranded in the middle of nowhere or on the highway. It is never too late to prepare for potential issues. From our experience, it is of paramount importance that the exact terms of any lease be clearly conveyed to the lessee. In the lease, an automobile manufacturer that employs DRM capabilities in its electric vehicles should provide clear notice of the circumstances when a battery could be prevented from charging or shut down. With the safety of drivers and passengers in mind, it certainly wouldn’t hurt to provide warnings on the car’s dashboard that the battery could be restricted within a certain amount of days. In addition, the battery lease should consider the contingency that the lease program could be discontinued for reasons such as cost-effectiveness or if the manufacturer goes out of business. Through the lease, the manufacturer could assure the purchaser that he/she would not lose the functionality of the vehicle despite the contingency. Having that peace of mind would go a long way in maintaining customer satisfaction. Over the course of our next few posts, we’ll explore the terms of the Zoe battery lease agreement, and concerns pertaining to the control of a singular component in a sold product and information gathering practices.